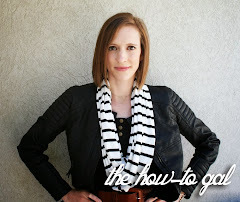 The How-To Gal: Dr Nasal and a GIVEAWAY! Dr Nasal and a GIVEAWAY! I recently met the owner of Dr Nasal Aspirators, Dustin (in real life! ), and he sent me some of his baby nasal aspirators to try out. Now these aspirators are not the kind you buy in the store, these babies are the ones the hospital gives you. You know, the ones that immediately get lost when you get home? We LOVE ours...baby W is quite the congested little one. The only problem is that whenever we need it, it is nowhere to be found and buying a replacement at the store just doesn't cut it...those things are horrible! Dustin had the same problem with his children - wanting the good nose suckers and not being able to find them in the store. Thus, Dr Nasal began. 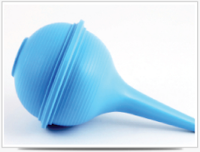 His website offers the hospital-grade 1 oz, 2 oz and 3 oz nasal aspirators at really reasonable prices. 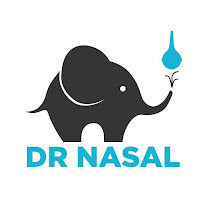 After you purchase one, he'll even send you another for free if you like Dr Nasal on Facebook. Pretty awesome. And guess what, he sent me THREE aspirators, so I've giving the other two away. This isn't like most giveaways...the first two people to comment with their email address in the comment get one. I have a newborn at home who is starting to get stuffy noses- allergies, maybe?